Soft raspberry licorice pieces covered in silky smooth milk chocolate. Fire these morsels into your mouth for a flavour explosion. Hidden inside creamy Belgian milk chocolate are nuggets of our special recipe raspberry licorice. These are a confectionery blend of licorice and chocolate firepower. 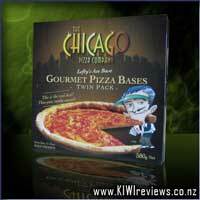 They will blow your taste buds away, and are disarmingly good! Deliciously more&apos;ish bites, available at all good supermarkets and confectionery merchants. Having high blood pressure you are advised against eating liquorice and thats where this product saves the day with the cravings. For those who don&apos;t like the liquorice taste from the black stuff, I seriously suggest you try this product. RJ&apos;s have a way of making things great and keeping them there. The chocolate outside is a really nice, smooth dairy milk and the inside is a lovely slightly chewy raspberry burst. I have noticed that not all of the bite sized balls are created equal when it comes to size and that is of no problem to the quality or enjoyment of the product. I find most often 6-8 is a satisfying number and they are easy to store so long as they are in an airtight container somewhere darker (not left in a hot car or on the window still). I must at this point mention it is also rather easy to eat the whole bag in a sitting as well. When it comes to Rj&apos;s, this is my favourite choice, although not so suitable for on the go. Our biggest issue with these is that everyone likes them and they are just too good for me to want to share. I was really excited to review these chocolate raspberry balls. 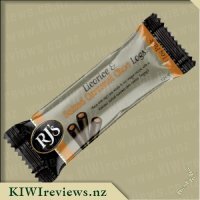 I&apos;m a huge licorice fan and was lucky enough to try the pineapple chocolate logs last time. I must admit I wasn&apos;t sure exactly what to expect with these. When I first opened the package I could smell a nice sweet aroma wafting from the bag. I pulled out a couple of the raspberry balls and was pleasantly surprised by the size. I thought that maybe they would be about the size of a chocolate covered raisin/peanut but these were considerably bigger. My first bite was like heaven. The chocolate was the perfect mix of sweet and rich but not overpowering. I felt like there was just enough chocolate around the outside of the raspberry licorice. I think if the chocolate was any thicker it would have overpowered the raspberry licorice all together. The raspberry licorice was a really nice texture and was nice and soft making it easy to bite into. I think the mix of the chocolate and the raspberry work really well together. 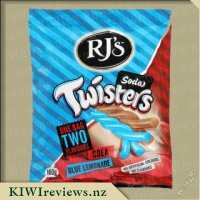 I think RJ&apos;s have done a fantastic job of mixing together two classic flavours and turning it into something super yummy. I think the price of $4.99 is really reasonable and it would be something that I would pay again. It is definitely a treat that I would buy again to pop away in the cupboard. 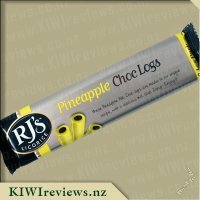 Thanks RJ&apos;s.
RJ&apos;s Chocolate Logs are my guilty pleasure and are often found in my shopping trolley, hand bag or bedside drawer. I was excited to try the balls as they were something I had not tried before but was certain I would enjoy! The packaging is appealing and you are easily able to identify what you have. 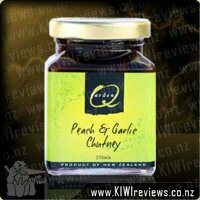 The fact they are made in New Zealand is fantastic as I love supporting local brands. The fact that RJ&apos;s is just around the corner is even better! Levin Proud! I sometimes find with the logs they become too sweet but did not have that problem with the chocolate balls. The licorice was much more chewy in the balls though that I found it a little bit annoying but not so annoying that I stopped eating them! They are definitely more-ish! My kids are not big licorice fans, this is one reason they are my treat, the kids don&apos;t pinch the logs but I offered them a couple of Chocolate Balls each and they all loved them! This may be the undoing of my treat stash! Well done RJ&apos;s another delicious family favorite that will be added to my shopping list and hidden away in my bedside drawer! RJ&apos;s already have me hook, line and sinker with their delicious sweet treats and there always seems to be some sort of RJ&apos;s product on my shopping list. As soon as there was a new product from them to try I was in! 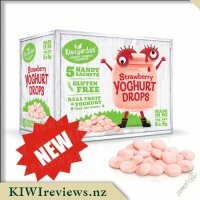 I love their raspberry logs with the chocolate centre so I was wondering if this product would be similar. Here&apos;s how they measured up. Let&apos;s just say it&apos;s hard to stop! They&apos;re delicious little morsels of chocolate and liquorice and before you know it you&apos;ve reached the bottom of the bag. They are a lot more chewy than the logs but i&apos;m going to count that as a good thing because it takes you longer to eat them. We also tried them on top of ice-cream sundaes which is a bit of a winner once you add loads of chocolate sauce and whipped cream into the mix. In all honesty there are RJ&apos;s products which I enjoy more but really that comes down to personal preference. I still wouldn&apos;t be passing these up if they were on special. My advice is give them a go, they may become your new family favourite or your hide in the closet treat so that you get the bag to yourself. I was absolutely rapt to open my review box and find some delicious RJ&apos;s Chocolate Raspberry Balls in there. Having tried the raspberry and chocolate twists in the past ( and LOVING them ! ) I was keen to give these a try to see if they might be another firm favourite ! Our review box arrived on a son and Mum home day, luckily, as my two girls and husband would have for sure gobbled these very quickly also .... needless to say, Master nearly 4 demanded for them to be opened and tried straight away. Never one to deny chocolate and raspberry, I happily ripped them open. The packet was very easy to open - rip, and you are done - no fiddling with non opening packaging - yay! Inside, I am very happy to report , there is a very good amount of chocolate and raspberry balls . Love that RJs are not stingy !! Master 4 and I grabbed a couple each from the bag, before I attempted to close them back up and safe some for a later date . Please note - attempted to .... FAIL! These did not even make it to the following day - with my husband coming home and promptly devouring half of the remaining that was left. Master 4 initially liked the balls , but not being a big licorice fan ( red or black ) he was not too fussed on eating the inside bit so sucked all the chocolate off, and left the licorice - I was so disappointed - I felt like he was wasting them ! I enjoyed them - every single one in the packet !! After Master 4 sucked all the chocolate off his , I was able to see the size of the licorice inside the chocolate . Quite a substantial piece was in there - but not a round piece like I was expecting - but a square - meaning a few little extra bits of chocolate to fill in the square gaps - win win !! What I liked best about these balls was the taste - so delicious , not super sweet , GORGEOUS Belgian chocolate , very very moreish , and also a perfect thing to share.... well... maybe ! 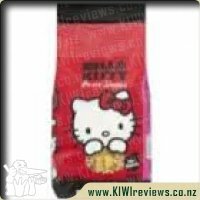 What I am not so keen on it the price , with nearly $5 a packet usually putting them out of my price range . This is IN NO WAY to say that they are not worth it - as they are definitely a high quality treat , but something I wish my budget could allow for more often ! 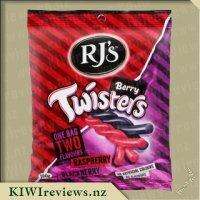 I would definitely get these again - I think the twists are still my favourite , but I would get these as well , since variety is the spice of life.... and you cannot really go wrong with chocolate covered raspberry licorice!! I had been eyeing up this treat for a while and when I saw that they were on special at the supermarket, I could not resist. 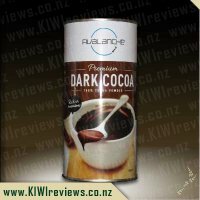 I am a fan of their other products, especially their chocolate logs which come in licorice, pineapple and raspberry flavours and they are perfect as a treat for the drive home from the supermarket. 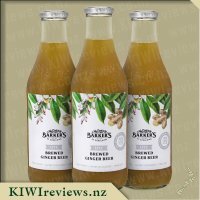 The packaging is bright and clearly shows what the product looks like and it is a huge plus that these are made in New Zealand, as I love to support New Zealand products. The packaging also says that it is family owned. I didn&apos;t look at the % daily intake information on the packet, as I don&apos;t tend to take notice for treat foods (sometimes best not to know). There is a generous amount of chocolate, which has a smooth and creamy texture, on each raspberry ball and you can taste the hint of raspberry flavour through the chocolate. The raspberry centre was harder than I had expected and I would have preferred a slightly softer licorice centre, but it was still absolutely delicious and had a flavour similar to a raspberry iceblock. It was be great if they had smaller packs, as because they are so delicious and moreish it is easy to devour the whole packet. 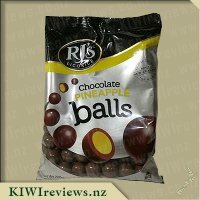 I would definitely recommend the chocolate raspberry balls to others, especially if you are a fan of their other products. It&apos;s no secret that I have a massive sweet tooth and am keen to try almost any new candy I can find. I&apos;ve tried chocolate and I&apos;ve tried raspberry licorice but I&apos;ve never even thought to try them together. So when these turned up in my review parcel I was pretty happy and had a very jealous workmate who watched me open the box to see what I got. They are quite small little balls but the perfect size to get a little sugar hit and not feel overwhelmed with sweetness. They are a great combination of sweet and not too sweet with the chocolate around the outside being, as you&apos;d expect, sweet and the licorice on the inside being more chewy than sweet. I did find the chewy licorice got stuck in my teeth a bit but no more so than regular licorice, perhaps even a little less because half the ball was chocolate and that just melted in my mouth and didn&apos;t have time to get stuck. I found you couldn&apos;t have just one ball, I continually ate from the packet until I realised what I was doing and put the packet away for safe keeping until my husband got home. It&apos;s amazing how many you can subconsiously eat without even realising it! My husband enjoyed these far more than I did, if that&apos;s even possible... He really liked that fact that they weren&apos;t sickly sweet like most of my other favourite treats and that he could easily have one or a whole handful. They were also the perfect little snack to have to settle the hunger pains while we were cooking dinner. My kids both loved these too and even finished all the salad on their plates in order to have just one more ball each - that&apos;s a win in my books! The size and shape of these chocolatey balls of goodness reminded me of maltessers and these could easily be used in place of matessers in any chocolate or cheese spread and give someone a little surprise when they were expecting something different. I&apos;m not sure how I could use these in any creative baking or anything but they would do a great job in helping decorate a cake. The price for a packet seems pretty reasonable especially with how far the little balls can go and I will definitely be keeping an eye out for them in the shops. 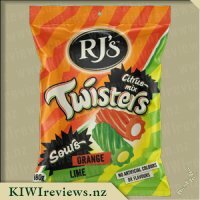 I really love RJ&apos;s Licorice, its made in little old Levin in the North Island and they make a big range to suit all tastes. So I was stoked to be able to review their Chocolate covered Raspberry Balls, which is a great new take on the traditional chocolate filled licorice. Firstly the combination of raspberry licorice and chocolate is so moreish that you really do not want to share! The outside chocolate shell is smooth and creamy and melts easily in your mouth and the inside chunk of raspberry licorice is just the right texture; soft and chewy. So good! I just loved them. Unfortunately my children came home and spied the bag, so alas I had to share! My girls raved about the sweets; even my youngest who dislikes the traditional black licorice loved them and commented that I just had to buy more. The think the both retail price and size of the bag is very reasonable and luckily my local supermarket has RJ&apos;s licorice on special often so I regularly stock up when they are on sale. One thing I&apos;d be mindful of is keeping these little treats out the heat though, as I think they could end up a chocolatey sticky mess if you didn&apos;t. Thanks again to RJ&apos;s for another tasty product! Anyone that knows me personally will know that I am a complete and utter chocoholic! Any food containing chocolate and I can guarantee I will most likely try it. I also love a good piece of licorice too, however I had never tried chocolate licorice before, so once I received my box of goodies that I had requested to review I was ecstatic to see a packet in there. Upon picking up the packet out of the box the first thing I noticed was the packaging. The bag is a decent size and has a very noticeable shiny area of silver, contrasted by the black area where the RJ&apos;s logo is. I was a little concerned as to how many balls would be in the packet and the size of them. I had no need to worry though as there was an abundance of them and they were the perfect bite size.The generous amount meant there was plenty for the whole family to share. 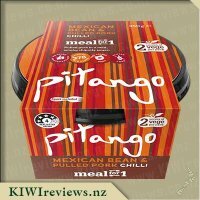 I love the fact that these are a NZ product as I love supporting NZ made. When it came time to open the bag I found it was reasonably simple to tear the corner. The first thing I noticed was the gorgeous smell of chocolate mixed with berry and I was instantly drooling. Initially I handed a licorice ball to my two older children and had one myself. The first taste was amazing! The gorgeous taste of the Belgian milk chocolate was so creamy and smooth while it was melting in my mouth. The first bite into the licorice I was hit by the fruity raspberry flavour. The texture was easy to chew and just the right amount to leave you craving more. The kids found them delicious and asked for more as a treat after tidying their rooms, which I loved the idea of. Overall I think these are a definite must-buy product. They would be a perfect addition for parties or just as a wee sugar hit. 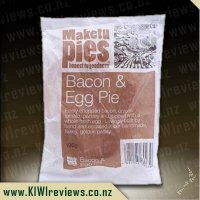 I have added these to my grocery list and will be keen to see if there are any other flavours out there to try. I was eyeing up these sweets for quite some time - they looked beautiful, but I don&apos;t like chocolate and I can&apos;t eat much licorice because of the salt content, so I thought it would not be a good idea to request them. But then I thought it through. I have lots of people, both friends and family, who really enjoy both items - so why not offer them round and get others&apos; input? I do need to comment first of all on the bag (shiny and eye-catching: a good thing there are no keas where I live), and the quantity: a really generous amount of individual chocolates. Often you select a large bag but then end up with a lot of air and not much else, but this product delivers. I could see there would be more than enough to offer round. I took them to a morning tea where there was a selection of people ranging from pre-schoolers to a grandfather as I thought it was important to target a range of ages. When I took out the bag, there was a sudden surge of interest as I rapidly became the most popular person in the room. However, I explained that to get a lolly they had to give me a comment in return. This did not seem to pose a problem for anyone. The two pre-schoolers were allowed only one each but they were excited when they discovered the raspberry jelly inside. They sucked the chocolate off and then took the jellies out of their mouths to compare them. It took them quite some time to eat the entire sweet as they were intrigued by the whole process so there was a lot of movement out of their mouths and back in again. One said he thought he should be allowed to have two at the same time so he could check out the "chewability" (his words!) but nobody seemed to agree with this and thought he was just being greedy. However, the older children all enjoyed the flavour and said they appreciated the firm inner jelly as it meant the sweet lasted longer. The adults all enjoyed them too. They liked the way the strong chocolate and raspberry flavours fuse together so that neither flavour dominates, and most said they could manage several at a sitting. I had put them in the fridge earlier because the day was so hot that the chocolate was starting to melt, so the first one each person tasted was still chilled. When it came to the second round they had started to warm up, and it was agreed that they were better when not kept in the fridge but served at room temperature. The grandfather pointed out that the chocolate layer was not too thick so the raspberry would probably keep its shape even if the day meant that they melted slightly. He thought they were very moreish and ate five in a row. 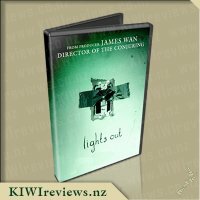 He said they would be good to take to the movies or to have while watching the rugby on TV. So, although I did not taste them myself, I had more than enough feedback to confirm that they were received positively. Nearly everyone said that they would buy them again - one of the pre-schoolers even said that she would tell her mother to get some next time they went shopping! For as long as I can remember, I have loved going to my nanas house as she always has a container of licorice. It used to be black straps or the twistie variety but lately she has been experimenting with different colours and shapes. Although she is not a fan of the red variety my cousins and I are, so she has now started buying them as well. Her favourites at the moment seem to be chocolate coated chocolate logs and last time I went she had a couple of red chocolate logs as well which I quickly sampled. My mum also loves licorice and usually has them in her lolly bowl which my girls love picking over. I guess I got my love of lollies from mum and nana and I adore licorice just like they do. I was very excited about the possibility of trying the new chocolate Raspberry Balls and as I had hoped they taste as good as the raspberry chocolate logs but only a smaller portion. I was concerned that they were going to be big balls but instead they are perfect Snifter size and can easily be hidden in your mouth away from prying little eyes, who are always concerned they are missing out on something, and would no doubt want some, if not the whole bag. The bag is very simple to open and the front cover explains it perfectly. They are raspberry coated chocolate balls and they are delicious. Unfortunately I found I could not stop at one and even after sucking on them for the past ten minutes I find my hand does not stop reaching for some more. Luckily, there are so many in the bag I not too scared of finishing them in one go. I prefer keeping them in the fridge when not being consumed but I guess it does not really matter as I have yet to have the chocolate melt on to my fingers. 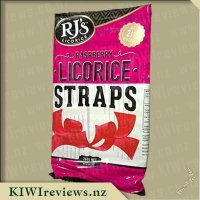 One thing I adore about RJ&apos;s Licorice is they are made in New Zealand and when ever my uncle comes up to the Naki he always brings a container of licorice with him. 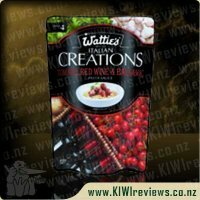 They are a fantastic company who provide amazing snacks to my family on a regular basis and I am sure if you ever visit me you will find more than one bag of RJ&apos;s in the pantry or the fridge. Like its cousin the &apos;black variety&apos; this red one, will also be finding a place in my house on a regular basis. RJ&apos;s licorice is very much loved in this home! As we are big fans of the raspberry chocolate twists and the raspberry bullets so when RJ&apos;s Chocolate Raspberry balls were spied in the treat isle of the grocery shop they surely, without hesitation, ended up in the trolley. Much to our delight, they are delish! The soft raspberry licorice is coated in the milk chocolate and are just the right size to enjoy a single one or offer to the children as a treat without needing to have finish the bag (although that is clearly easy to do with the sweet tooth of the husband in this home). I found the taste to be perfect, the chocolate is a great mix with the licorice and the flavor of each is balanced against each other. 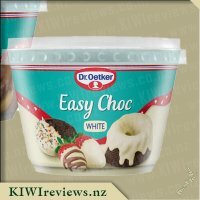 The package size is perfect - enough to enjoy without them going stale and the cost of $4.99 is just right to pop in the trolley as a treat and not worry about justifying it or blowing the budget. We often take licorice on all our car journeys and the chocolate raspberry balls are perfect if the car has a chilly bag handy or a console fridge - but unfortunately in the heat of summer with hot little hands they aren&apos;t passed around due to the mess of melted chocolate. 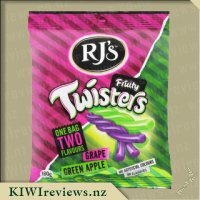 RJ&apos;s keep coming out with new varieties and combinations and rarely are we disappointed so thank you again RJ&apos;s for adding another one of your products into our regular shop. RJ&apos;s licorice is an absolute favourite in our family, while our household loves the raspberry and fruit flavoured licorice varieties, both mine and my partner&apos;s parents are fans of black licorice. I have tried the RJ&apos;s raspberry licorice rolls and also the raspberry licorice twists before and these are something we tend to buy at least once a month in our weekly groceries as we love them so much, or if my partner is going out fishing he always chooses to take a pack of licorice logs as he says they are easy to eat and hold when on the boat. 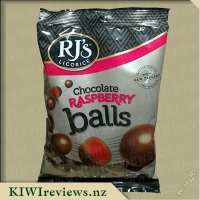 To see that RJ&apos;s have Chocolate Raspberry Balls in stores now was something I was excited to learn about thanks to KIWIreviews, but something I was even more so excited to try! Like most RJ&apos;s products these come in a plastic bag in which you can see through a clear window the exact product you are buying. Looking through the window these looked to me just like Maltesers! The packaging was highly appealing and I loved that it showed both the inner and outer of these delicious little morsels so that there is no mistaking what you are actually buying. The bag was easy to tear open, and inside was a very generous amount of tiny little chocolate coated raspberry balls of uniform size, I am always so impressed when I open up a bag of RJ&apos;s licorice to find that there packages contain a decent amount of pieces as many companies have become rather stingy with the amount of product per package over recent times! These balls taste amazing and are very morish, it&apos;s hard to stop at just 1! The licorice inside is of a delicious sweet raspberry flavour and is noice and soft to bite through and the creamy Belgian chocolate outer is so creamy and rich and is of a good thickness, the flavour goes hand in hand with the licorice. Although great on there own these also work well as a decoration to cupcakes, I used them over Christmas when Miss 3 and I made some reindeer cupcakes, these became the noses. They also go well chopped into smaller pieces and added to a rocky road slice. These have been an absolute hit in my house, and we have already purchased several more bags to enjoy over Christmas, I wish I had discovered these sooner as they really are that good. 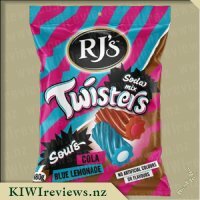 I would love it if RJ&apos;s could perhaps make a mixed bag of licorice balls in various different fruity flavours as I think this would make an amazing product which would lead you to a nice surprise each time you were to eat a ball. 10/10 from me! I have a fierce dislike of black liquorice, but I do enjoy the other flavours so whenever I get the opportunity to try new products, I&apos;m more than happy. RJ&apos;s have had other products where you get liquorice wrapped around chocolate, but chocolate wrapped around liquorice is a bit difference, mainly being the ratio of chocolate to liquorice is flipped the other way around, in chocolates favour. One thing that I found with the other varieties where the liquorice was wrapped around the chocolate, was the liquorice was very soft and often got stuck in the teeth, so I was curious to see whether this product would act similarly, or whether a different liquorice would be used. 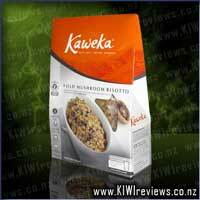 Looking at the packaging, it claims to come with 5 servings per pack, with a serving consisting of 8 pieces. Well when they mentioned above that the product is more&apos;ish, they weren&apos;t kidding. 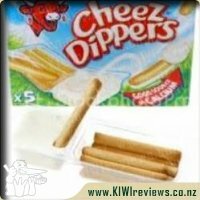 As I sat through a movie, I ate the entire pack on my own before I could even take a photo of the product (luckily I had recently won a second pack through the &apos;12 days of KIWImas&apos; promotion). So it is very easy to eat more than is advisable. One thing I do like about the packaging is how they separate the ingredients in the liquorice components and the chocolate components. makes it much easier to determine what ingredients are used where. The balls themselves are enjoyable. I tend to eat them the same way that I eat a scorched almond, where I bite the chocolate off and then eat the liquorice separately (very different to how I eat the liquorice covered chocolate). This is made possible by the fact that the liquorice is clearly different. In my photo you will see three things; a complete chocolate raspberry ball, a choc raspberry ball (minus the chocolate), and piece of a raspberry chocolate log. You can see from the picture that the colouring is far less intense in the liquorice from the chocolate balls, compared to the raspberry log. Texture-wise, the liquorice from the chocolate raspberry ball is a lot tougher. 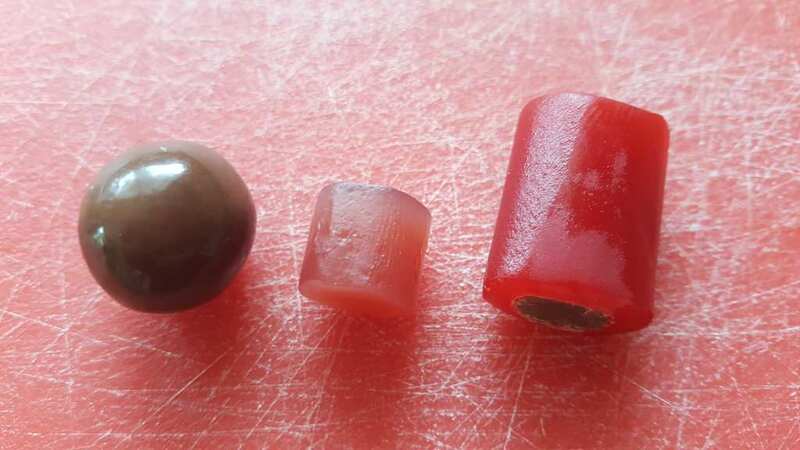 It has greater tensile strength and chewiness to it that gives it the properties of a hard jube as opposed to a wine gum (if I were to compare it to other lollies). The extra strength to this liquorice makes it much easier to eat, as it doesn&apos;t all get stuck in your teeth as much, and it allows me to have fun separating the chocolate from the liquorice in my mouth. The flavour itself seems very similar to that of the colouring in that it isn&apos;t as strong. I&apos;d normally dislike that, but it makes it complement the chocolate that much better. 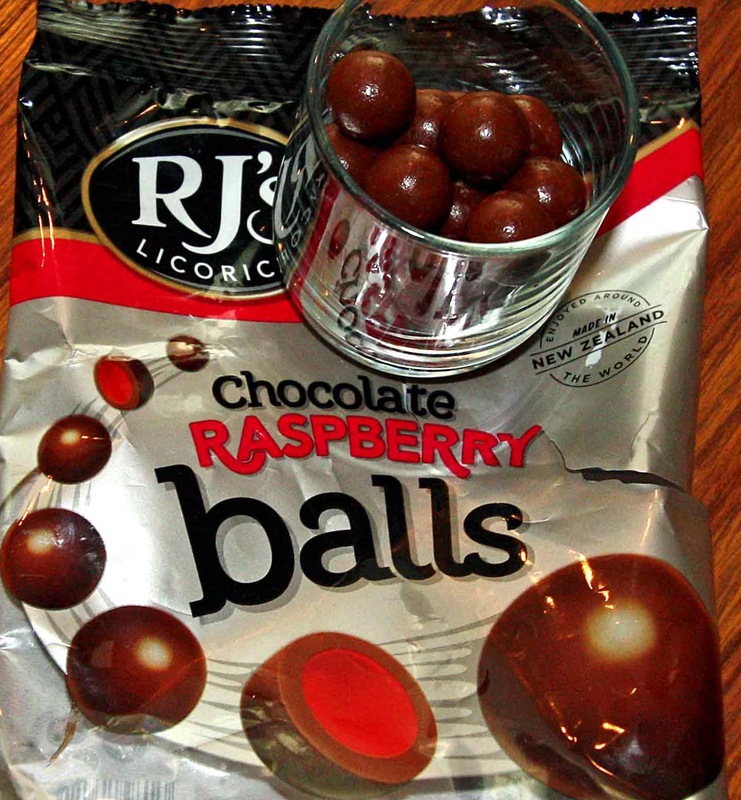 I have tried a lot of RJ&apos;s other products and have a household of red licorice fans so I was sure that their raspberry balls would be a hit with us too. When I first got them I put them in the fridge as I believe chocolate needs to be in the fridge or freezer in summer. My youngest daughter (nearly 7 years old) discovered the packet when she went to make her breakfast. The mean mother that I am would not let her have them for breakfast no matter how much she and her eight year old sister pleaded with me. The packaging obvious had instant appeal to them. I decided to use the balls as an incentive for the my girls to tidy their room. It definitely increased their productivity when they saw the open packet. They both loved the taste and were willing to do almost anything for another raspberry ball. My husband and I also enjoyed them and I had to hide the rest of the packet so I could enjoy it once the kids were in bed. The balls are all a uniform size about the same as a Malteser. Most of it is soft raspberry licorice with a coating of quality milk chocolate. This is the first RJ&apos;s product I had tried with chocolate and was really pleased to see that they had not compromised on quality with their chocolate. 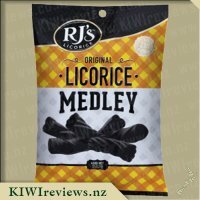 The licorice is also of the high quality I expect from RJ&apos;s.
I will certainly be buying these again and I&apos;m pleased to see that they are readily available in the various supermarkets in our area. 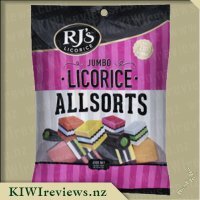 They would be great served in a bowl with RJ&apos;s allsorts and medley to give another colour, shape and flavour.I recommend these to any raspberry licorice fan. You won&apos;t be disappointed. I love raspberry licorice and I love chocolate so I was looking forward to trying RJ&apos;s Chocolate Raspberry Balls as they looked like heaven! In order to give a quality review, I had to hide them from the family and sample a few first and I have to say that these were delicious! The chocolate is a lovely, smooth tasting Belgian chocolate which, when chewed with the licorice, gives a delicious, sweet berry chocolate flavour. They are very moreish and very addictive with just the right amount of chewiness - not too much to make your jaw ache but enough that you get to savour each ball! When my husband and daughters saw the packet their eyes lit up and both my girls loved them. My youngest showed great willpower by sucking the chocolate off first to show my a square shaped piece of licorice, not a ball which I had expected. My husband said they were a little sweet for him but not enough to stop him for eating more! I thought these were reasonably priced for a family treat. They are the sort of confectionery that you could share with the family or take round to friends, put in a bowl and enjoy after dinner. RJ&apos;s are renowned for quality licorice and they have really outdone themselves with these tasty morsels. They will definitely be finding their way into my supermarket trolley again! I love liquorice... almost every sort in fact. SO far, I have yet to discover a liquorice-based treat that I didn&apos;t enjoy but there are some that really stand out as great ones. This bag of delightful morsels only *just* missed out on reaching that rating by the slimmest of margins, and it was only that I am not a huge berry fan that stopped them from becoming a personal favourite. Now... wrap chocolate around some of the RJ&apos;s Orange Liquorice and I may have to revise my opinion. But, I digress... these little balls of raspberry liquorice, wrapped in silky-smooth milk chocolate - surprised me with how tasty they were, and how more&apos;ish. Not being a huge berry-flavour fan, but having found myself enjoying a wider range of berry flavours thanks to review products, I was willing to take the plunge and give these a go. So glad I did, as they were a great little treat for when I was working through the evening doing some personal projects on the PC. I could pop one in my mouth and just let it slowly dissolve and give me a yummy little energy boost. I managed to make the packet last me almost three full nights - for anything chocolate, that&apos;s almost unheard of with me. Overall, a very nice treat, and something I may look at buying some of in the future. I was planning to try using these in some kind of dessert, but to be honest I didn&apos;t want to risk losing any to failed experiments... so I just had them as-is and found that was plenty satisfying enough. 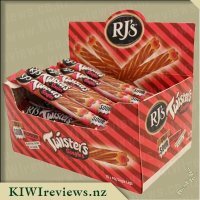 I am a really big fan of many of the RJ&apos;s products, their raspberry licorice logs being my absolute favourite. I had seen these raspberry chocolate balls in the supermarket during recent grocery trips but had been a little hesitant to try them, thinking that if I bought them over the raspberry licorice logs I might be disappointed and wish I had bought my usual instead. I was quite excited when they came up for review and took the opportunity to request them to review so that I could decide whether I liked them or not. The bag of raspberry chocolate balls didn&apos;t stay in the box for long before they were open. In fact, while on my lunch break I unpacked my review box and took a picture just so I could open the packet and enjoy some after eating my lunch that day. As I opened the bag I could smell the sweet scent of chocolate! I looked inside and noticed lots of little round balls of goodness. The shape and size of the balls is actually quite perfect - big enough that having one at a time is sufficient, but small enough that they don&apos;t overfill your mouth while eating them. Within the bag they all seemed to be reasonably uniform in size which is good. I picked up one raspberry chocolate ball and ate it as one complete piece. The chocolate they have used it delicious, however I had expected more of a raspberry taste. I guess this is where they are different from the raspberry licorice logs. In the logs the raspberry licorice is the main star yet with these balls the chocolate is definitely the main event. I decided to bite the next piece in half to see just how much licorice was inside. I bit it in half an noticed a small cylinder shaped piece of licorice in the middle. It looked a little different to the licorice used for the logs, but this could simply be because it is a small piece that doesn&apos;t have chocolate in the middle. I ate a few more and the flavour grew on me. Once I got over wanting a strong raspberry licorice taste I realised that they are yummy for what they are. When craving chocolate they would definitely be near the top of my list of options to buy. I am sure that they will make their way into my supermarket trolley on a shopping trip soon! 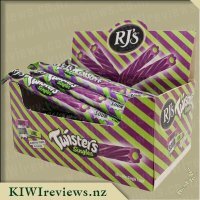 Having tied RJ&apos;s raspberry and chocolate twists in the past I was keen to give these a try to see if the RJ&apos;s brand of products were all this yummy or if I had just struck one good product in the range of what they have available. I am more than happy to report that these raspberry chocolate balls are in fact delicious and a product that we will be buying again in our household. 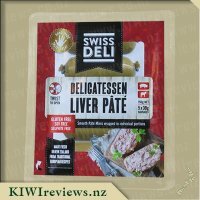 Something that I was excited to try, I was quick to open the packet as soon as this arrived from KIWIreviews and put one straight into my mouth along with offering the packet to the other three adults in the room. We were all impressed with the taste and upon finishing the first one all immediately reached for the bag to have another. No doubt something you probably shouldn&apos;t do but I&apos;ll be completely honest and admit that the four of us quite easily enjoyed and finished the entire bag in one go!! Whoops haha I think this shows just how much we loved the taste of this product when it disappeared so fast. I sucked all the chocolate off one of mine so I was able to see exactly what was inside and was quite surprised to find it was a square of raspberry licorice. Not that it makes any difference to the greatness of this product but I was totally expecting this to be a ball of raspberry, I guess because that&apos;s what the photo on the package suggests. I was also a little bit surprised that the texture of the raspberry licorice inside is kind of rubbery, a bit more like a lolly than traditional soft licorice. This is not to say I didn&apos;t like the product as I really did but just as a warning in case anyone out there is expecting this from the product. The Belgian chocolate is divine and simply melts in your mouth. The price of this product is a little expensive for a treat, but it is a good quality product and you pay for good products so I kind of feel that this is expected. The bags also go on sale at the supermarket which makes it even better value I have already brought several more of these bags of goodies and I am sure we will continue to do so. I totally recommend you try RJ&apos;s chocolate raspberry balls today. As a lover of licorice I was incredibly excited to try these and bought them for a picnic with my brother and hi son family, including my very rambunctious niece Victoria. In the end, we busted them out before we had even left the ferry to Devonport! I got very seasick and Victoria kept annoying other passengers so we thought it was the ideal time for a chocolate covered distraction. Just the crinkling of the thick plastic packaging and the anticipation of the treat was enough to settle Victoria and my rumbling stomach! They are about the same size as a malteaser. I was hoping for bigger to keep Victoria quiet a bit longer while she was chewing! The texture is closer to a confectionery product than traditional licorice but it was very tasty. I ate at least six! Maybe seven! I would have eaten eight but my brothers wife had to put the packet away to hide them from Victoria. Next time I think I will bring my own! Or the mango and white chocolate product RJ&apos;s also sell as I am very partial to it. I think it is the bees knees. I must confess, I didn&apos;t even look at the price when I grabbed this from the shelf at a run (picking out food for a picnic on the way to the ferry is never a good idea) but I did not feel upset when I checked the receipt later. My husband had a bit of a grumble I had bought too many items but that is husbands for you! He ended up eating more than the rest of us so he can&apos;t be too upset! I will buy these again, though I hope to eat them in a more serene environment next time! I have seen these in the supermarket and I have toyed with buying some because they looked so good. However, they didn&apos;t make it into my trolley the last few times I have seen them. 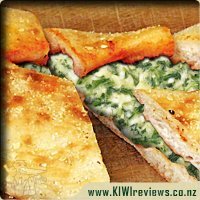 When I got a chance to review them for KIWIreviews I was pleased because I would know for sure if they were worth buying. After dinner one night I popped the bag open and gave each of my family four of the balls. My youngest really dislikes licorice so I was not expecting much. She ate the first one, and then the second one and after she finished her potion she asked if there was more. My eldest was a bit scared. "What is this mum? ", she asked. I said, try it and find out. After some hesitation she tried one and then she pretty much monstered the rest and asked for more. My husband liked them, but he loves raspberry licorice. I tried some myself. The first one I was surprised at the rubbery texture of the licorice in the ball. I wondered if that was because of the shape of the licorice. So I bit off the chocolate and discovered that the licorice in the middle is a cylinder shape rather than a ball. I&apos;m not sure why, but they are a bit more rubbery in the middle than the bullets. The next night I decided that we should have more for dessert. The kids were thrilled, but I discovered that the bag was a lot less full than the previous day. Later I was in the kitchen and suddenly felt like someone else was in the room! There was a child at the table very quietly emptying the bag into her hands. So my nine year old had been taking them and scoffing them. In the end they were so popular, that I have already bought a replacement bag. No doubt they will continue to be a favourite here. We already love RJ&apos;s licorice, but now we have a new favourite product. We would definitely recommend these. I&apos;m use to the texture now and the kids just love them. 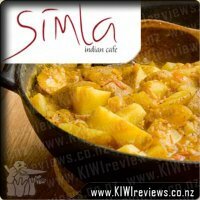 Simla Indian Cafe is an authentic Indian restaurant situated in Mt Eden, serving traditional Indian cuisine. Simla prides in giving its customers a great dining experience, together with exceptional service.